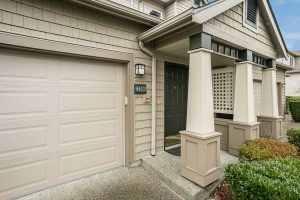 Beautifully updated three bedroom, two bath Townhouse style home. 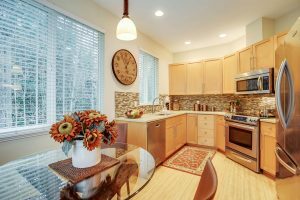 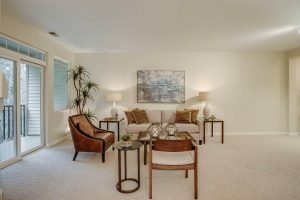 Immaculate condition, warm colors, remodeled baths and kitchen with attention to detail and top-quality materials. Backs to a private, lush greenbelt with a cozy deck for morning coffee or relaxing summer evenings. Oversized two-car garage. 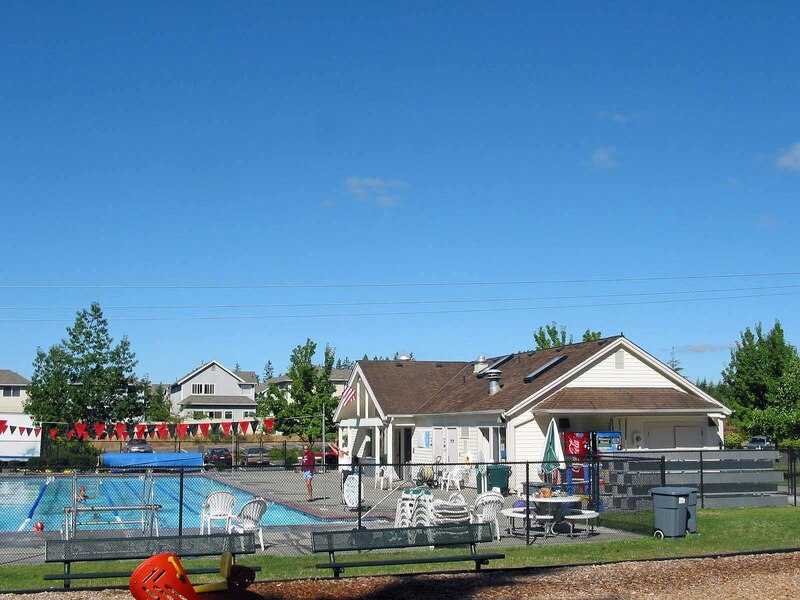 Fantastic, well-managed HOA with some of the lowest dues anywhere for what you receive. 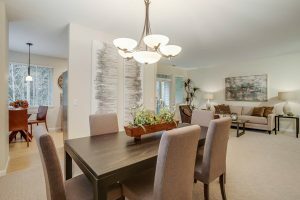 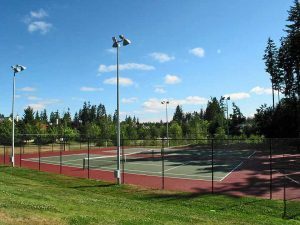 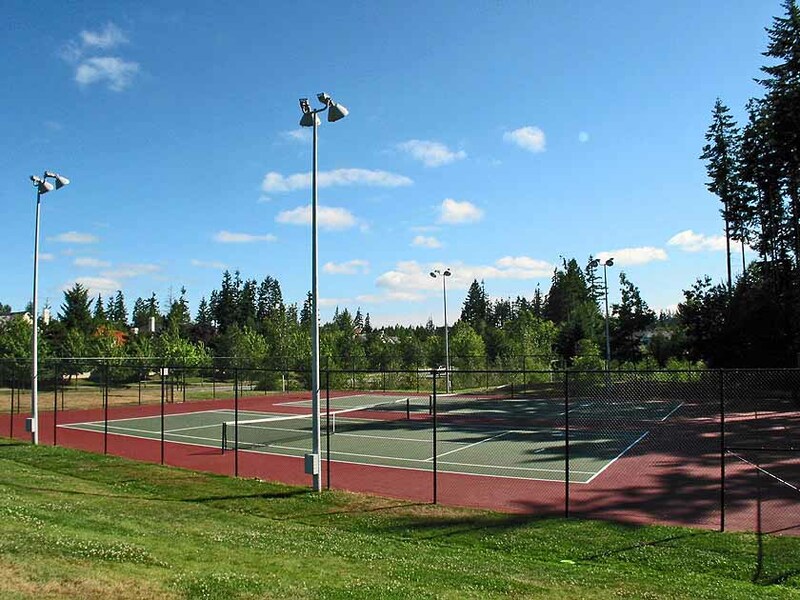 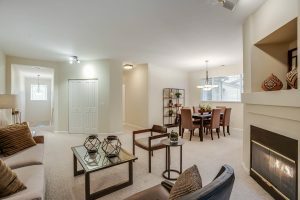 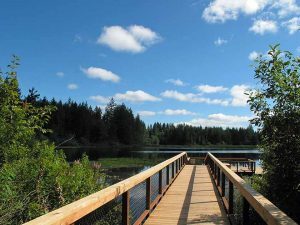 Walk to shopping and restaurants and enjoy all of Klahanie’s amenities: two pools, miles of trails, sports courts and parks. 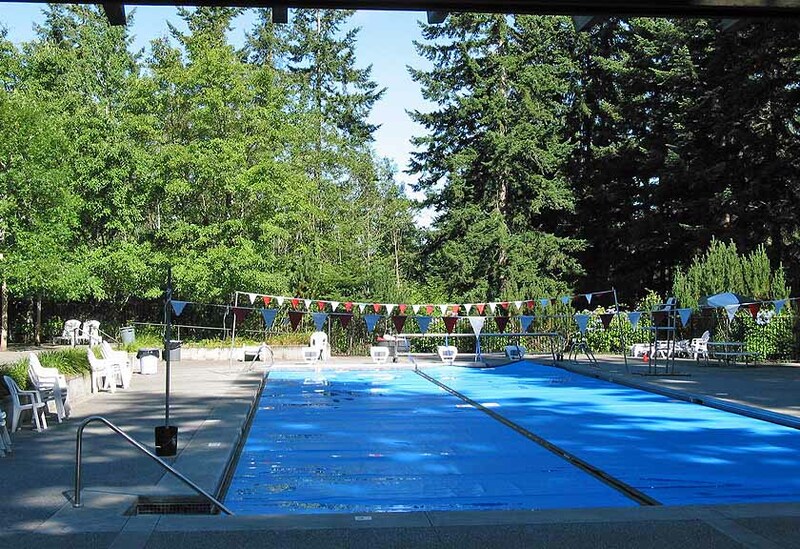 Highly acclaimed Issaquah Schools. 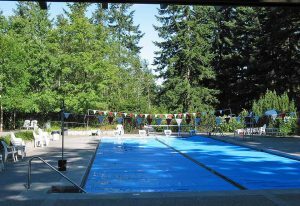 Sierra is a very well run condominium community inside of Klahanie. 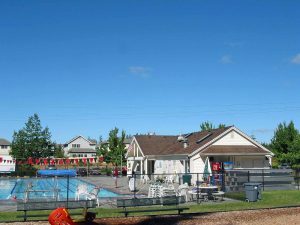 A short walk to shopping, restaurants, parks, miles of trails, sport courts and 2 community pools. 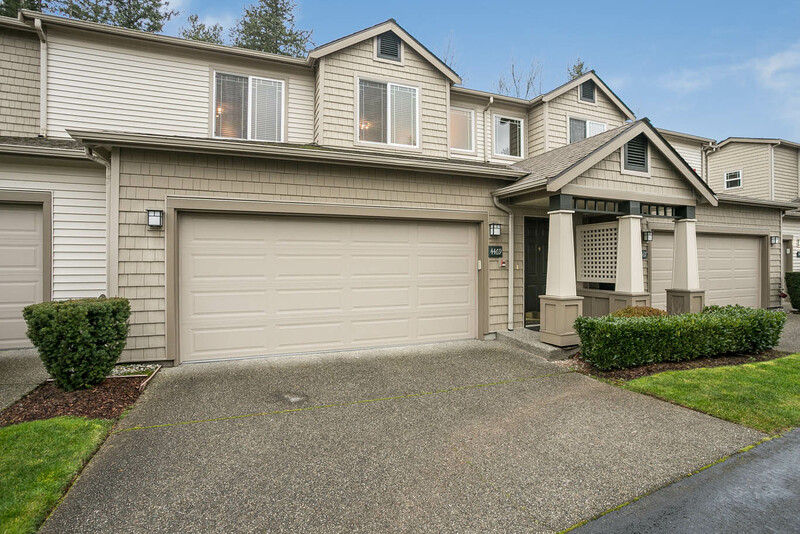 Built in 1996 Sierra has been a success and highly desired by many happy home owners. 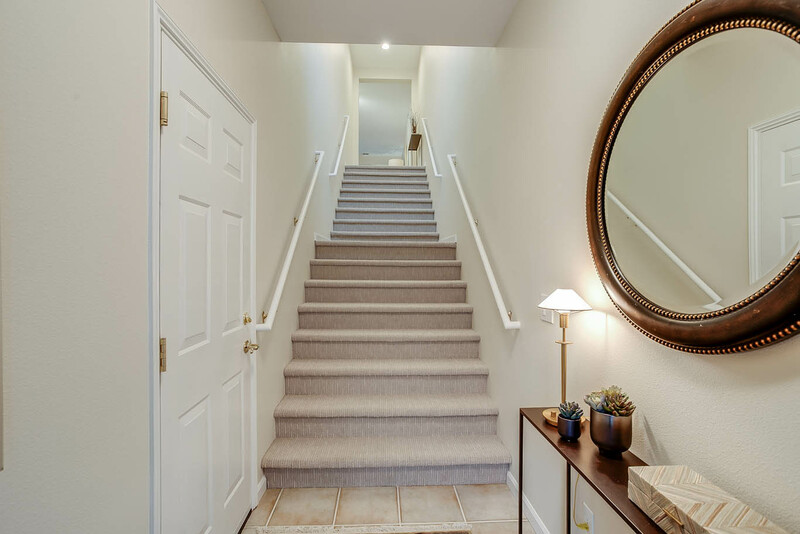 Enter this home using the wide open and light filled stairway to the main floor. 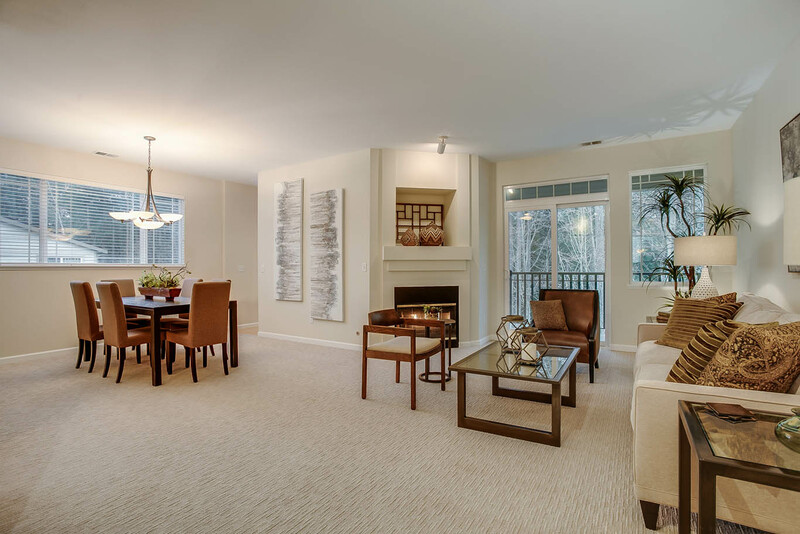 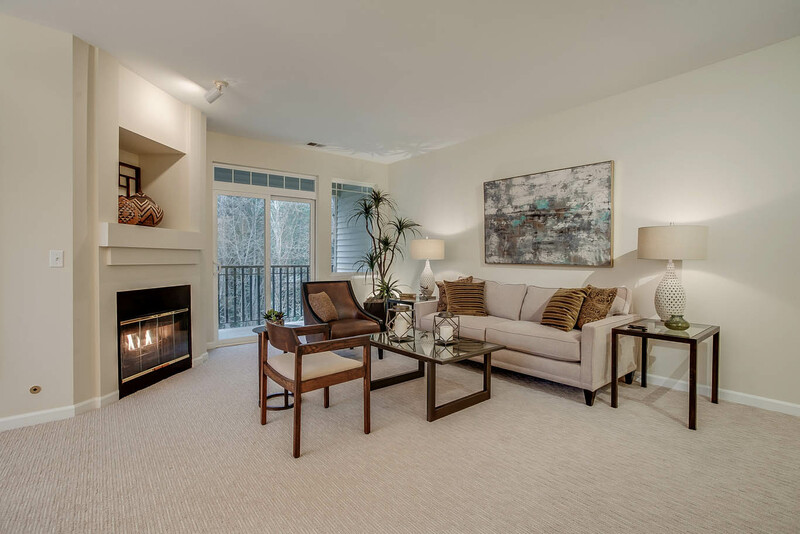 Once on the main floor you are greeted by a spacious great room with dinning and living areas. 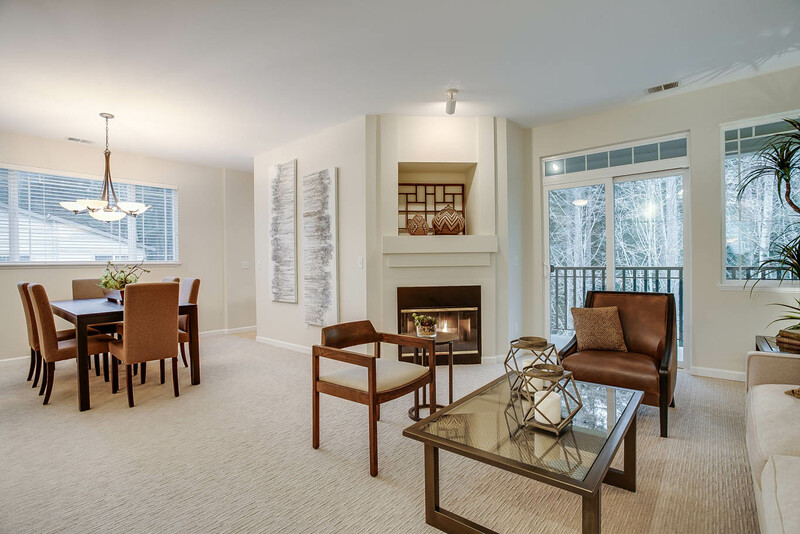 A private deck over looks the deep lush greenbelt or stay inside to enjoy the warm gas log fireplace. 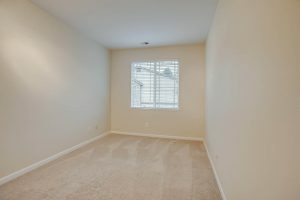 The entire main floor is light and airy with excellent privacy. 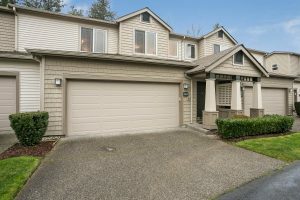 This home is immaculate in every way and is in move in condition. 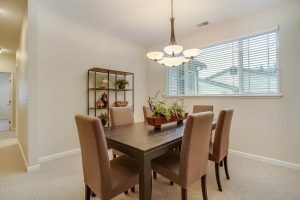 The dining area is large and can accommodate a table of 10-12 people. 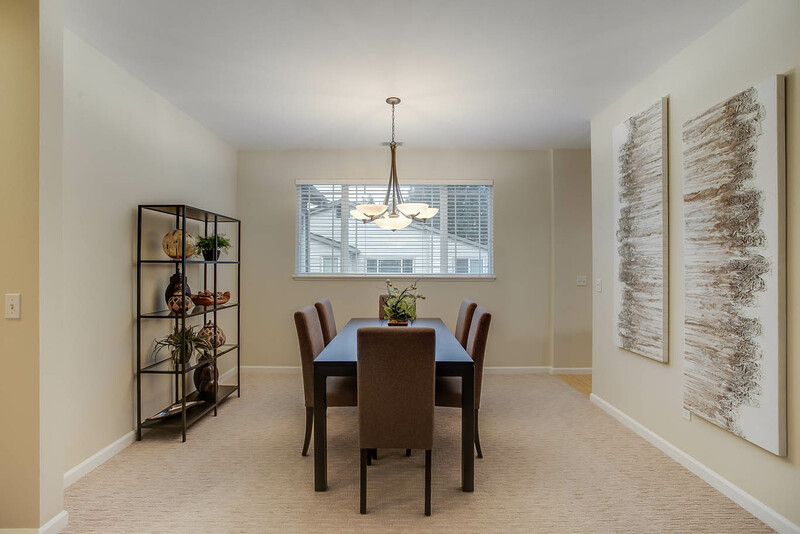 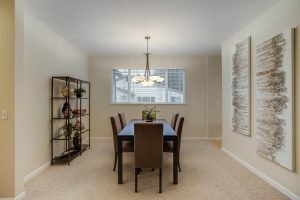 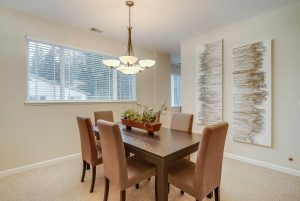 The dining room is just of the wonderfully remodeled kitchen. 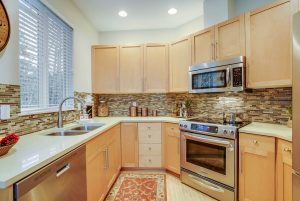 The kitchen shines with newer stainless steel appliances. 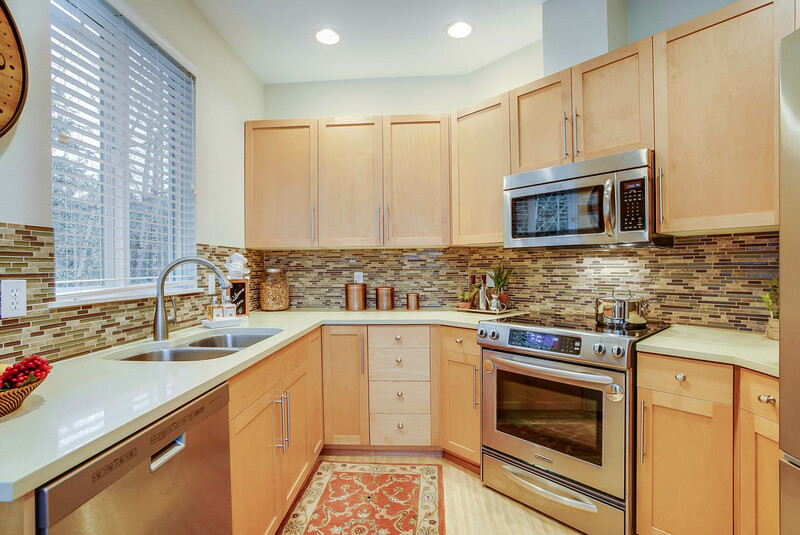 quartz counters, glass tile back splash and bamboo floors. 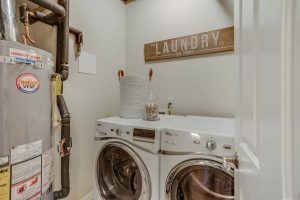 The washer, dryer and refrigerator remains with the home. Enjoy the peaceful views into the deep permanent greenbelt from the eating nook within the kitchen. 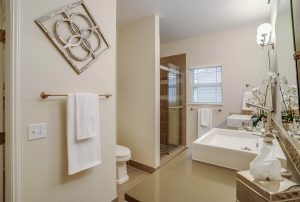 This is the hall bath that has had a gorgeous remodel to it with top quality materials. The washer and dryer remain. Gas hot water and water heated heating system. The master bedroom is well sized and is bright and light. 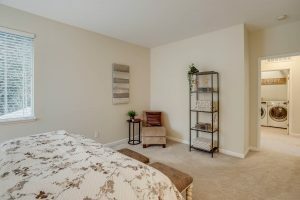 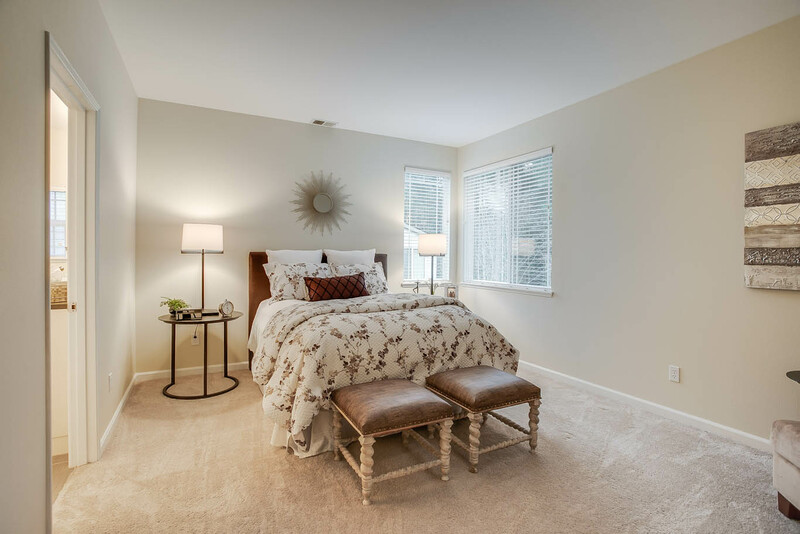 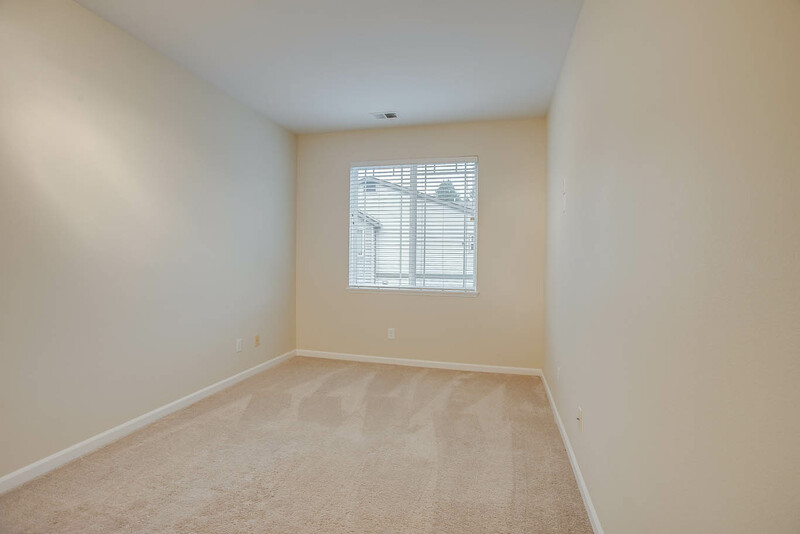 The master bedroom has plenty of room for extra furniture. This is the 1st bedroom. 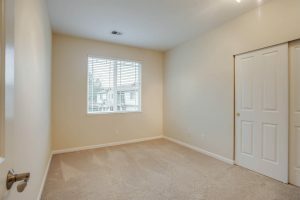 The closet is to the left out of the picture. 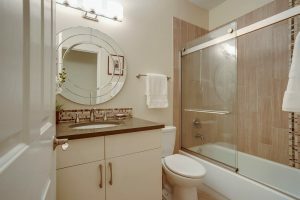 The master bath is stunning with quartz counters, custom raised sinks, adjustable mirrors, tile flooring, spacious shower and a well sized walk in closet. 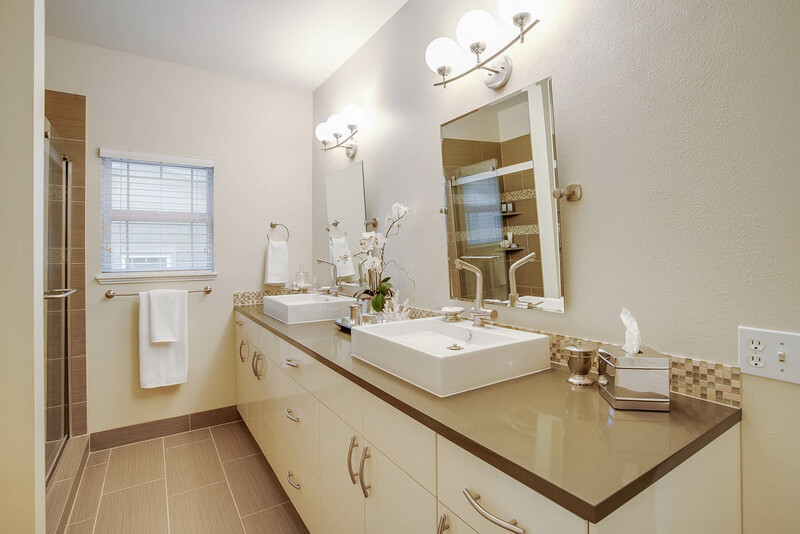 A different look at the master bath. 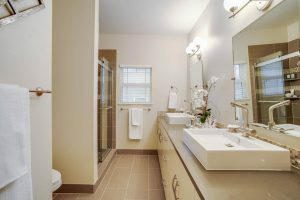 self closing cabinets and drawers. 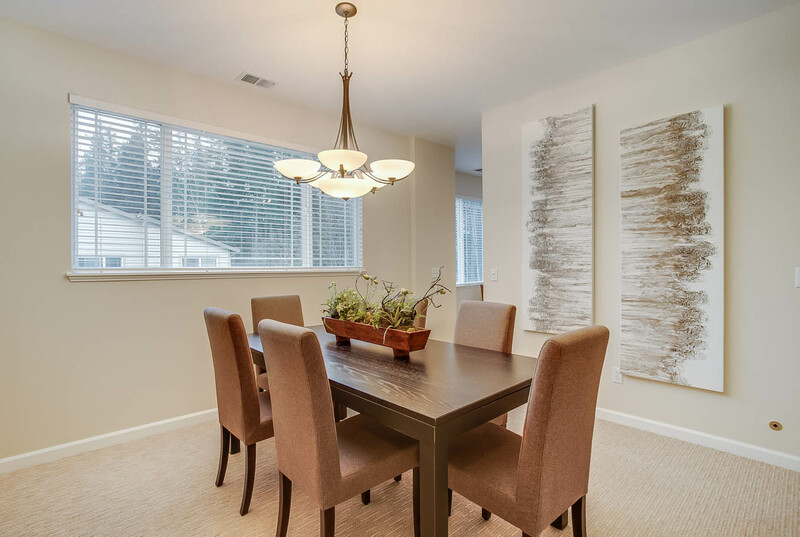 Always light and airy. 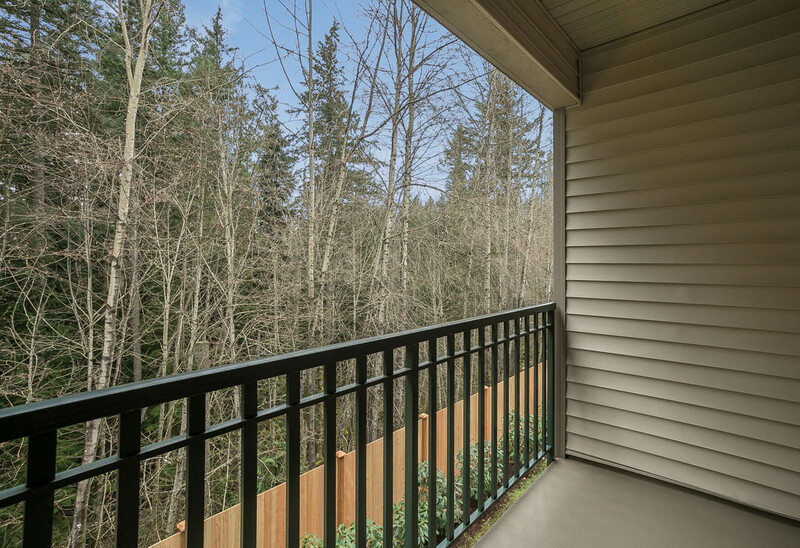 The very private deck and view into the lush quiet greenbelt.